What types of messages are sent from the UH ALERT Emergency Notification System? When a significant emergency or dangerous situation occurring on campus involving an immediate threat to the health or safety of the university community. When certain crimes have been reported on or around the campus geography that represent a serious or continuing threat to the university community. How can I tell the message is a UH ALERT and what will the message look like? UH ALERT e-mail messages will be addressed from "UH ALERT <noreply@everbridge.net>" and will include the below graphic. SMS text messages will come from the short code number 893-61. What should I do when I receive a UH ALERT? Follow the directions that are communicated within the alert, and use the information provided to make timely decisions regarding personal safety and security. Subsequent updates will be sent and the UH ALERT website will be updated as more information becomes available. Who sends UH ALERT messages? 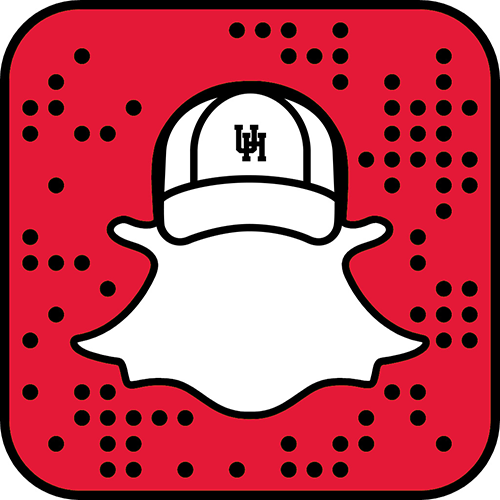 Messages are sent by the University of Houston Police Department, Office of Emergency Management, or University Communications, depending on the nature of the urgent situation. How do I update my contact information or sign up to receive UH ALERTS? If you are a UH student, please visit the Student Contact Information Update page. If you are UH faculty or staff, please visit Employee Contact Information Update page. If you are a parent, or member of the general public, please visit the General Public Information page. What should I do if I didn’t receive an e-mail alert? Please ensure your contact information is updated in MyUH and PASS. For more information, please visit the instructions. In addition, if you did not receive an e-mail alert at your personal e-mail address, please check your “junk” folder and mark these messages as “not junk” to ensure future e-mails are delivered to your inbox. What should I do if I didn’t receive a text message? Please ensure that you have provided a cell phone number in MyUH or PASS. For more information, please visit the instructions on how to update your contact information in MyUH or PASS. What if I do not have a U.S. cell phone number and want to receive emergency text messages? Please sign up for UH ALERT Twitter Fast Follow to receive emergency text messages. Will the privacy of my personal information be protected? Yes. Your personal e-mail address and cell phone number provided for purposes of the emergency notification system is kept confidential and is not subject to disclosure under Section 552.021, Government Code. Will the UH ALERT text messages cost me anything? Charges will depend on your wireless provider and plan. For those with unlimited text messaging plans, there will be no additional charge. Why can’t I register if I am not a UH student, faculty or staff member to receive UH ALERTS? The University of Houston’s goal is to reach as many members of the campus community as fast as possible in the event of an emergency. By limiting UH ALERTS to UH students, faculty and staff, the messages can be sent more quickly and efficiently. If you are not a member of the UH community, but wish to receive the alerts, please visit our General Public page for more information. Does UH periodically test the UH ALERT Emergency Notification System? Yes, the University of Houston will test all emergency notification channels of UH ALERTS at least once each fall and spring semester. The University community will be informed when each test is scheduled.